For the past twenty years I have owned and operated my own business. I worked seven days a week and about twelve to fourteen hours a day on average, trying to build a customer base so I could make a profit. I was young and was eager to impress my family with my hard work. One Sunday, my family came to visit me at work, as usual, and as they were getting ready to leave, I heard my daughter say, “Why doesn’t Daddy go to church or to lunch with us?” My heart broke. I never liked working on weekends and always felt as if I were missing out on family time, but I figured that’s what I was expected to do in order to give my family what they needed. The truth is, instead of giving my family what they really needed, I was just giving them money. In reality, I was showing my daughter that money came first. This is a very dangerous message to send to daughters at any age. They need to know that they are the most important things in our lives, above money, above personal desires, above all worldly possessions. Fathers need to show their daughters that they hold certain relationships to be sacred and above all else. Daughters need to know that their fathers are able to prioritize life values. And they need to know that spending time with God is required for their souls to be fulfilled. If their souls are not fulfilled by God, they are left with an empty feeling. A father does not need to be physically absent for his daughter to feel as though he is not there for her. Some men are absent to their families even though their families see them daily. Women who are left with this empty feeling from having an absent father usually end up trying to fill that space with other men who will end up disappointing them. Jesus is the only man who will never disappoint your daughter, and she needs to know that. As fathers, we all make mistakes that disappoint our daughters. Teach your daughter that putting her trust and faith in Jesus will never end in disappointment. Help her to understand the meaning of devotion, and make sure you lead by example. Hearing that story made me sad. It made me think too. Immediately I started making changes. I closed my business on Saturdays and Sundays, and I started waking my daughter up earlier to tell her I loved her and to spend at least a few minutes with her before I left for work. I have kept this tradition to this day: I never leave my house without telling everyone in my family that I love them. I did not want to lose my business, but, a million times more than that, I did not want to lose my family. I prayed a lot, asking God to help me take care of my family and thanking Him for allowing me to see what was really important in life. 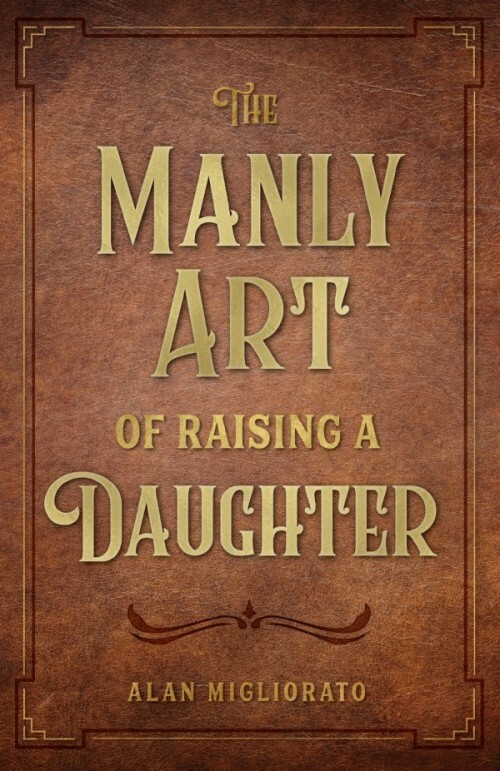 This article is adapted from a chapter in The Manly Art of Raising a Daughter. Some amazing things happened when I started closing on weekends. I felt refreshed because I was not getting burned out from my business, and I was happy about getting to spend time with my family. I enjoyed going places with them and doing things I did not take the opportunity to do before. The next step for me was to reduce my business hours so I was not working so late during the week. Instead of working from 7:00 a.m. to 9:00 p.m., I started opening at 8:30 and closing at 6:00. Again, I immediately started to feel more refreshed, I had even more time to spend with my family, and I kept seeing a rise in revenue from my efforts. Even though it was nice to make more money, what amazed me was that I was really enjoying my family time and starting to gain an understanding of what it means to become a real man. A real man spends time with his family. He spends his time and energy to make sure his family is supported not only financially, but emotionally and spiritually as well. I started to make sure I put my family first in all things. I can just imagine that many of you are thinking, “Well, that’s easy for the guy writing this book; he owns his own business, so it’s easier for him to take time for his family than it is for me.” Not true. Think about this scenario for a minute: let’s assume you are missing out on two hundred dollars because you decided to go to your daughter’s basketball game instead of working. Now, imagine that someone walks up to you at the game and tells you that he will give you two hundred dollars to walk away from the game and not watch it — and to ignore your daughter during the game. Would you take the money, or would you tell this guy to take a hike? No matter how much money is offered, my daughter is more important to me, just as your daughter should be more important to you. Get your priorities in order before it is too late. Time cannot be purchased; it is the most precious commodity we have. Everything a father does sends a message to his daughter. She is taking mental notes and learning behaviors that will later be expressed through her actions. God’s love for us as His children is the perfect example of how we fathers are supposed to lead our families. If God is our Father and we are to follow His rules and laws, then our daughters will understand the same structure when it comes to the rules we, as fathers, set for our families to follow. If the rules we set for our daughters are based on God’s rules, it should be an easy transition for daughters to follow their fathers’ rules. But what does that look like in reality? How can we set guidelines for our children when God gives us free will to follow, or not to follow, His rules? He asks us to respect our fathers and mothers. If we are following God’s rules, then any other rule we put in place will be followed. Our children do not have to follow the rule happily; they just have to follow it. Set guidelines and rules for your daughter, and stick to them. Be reasonable, be understanding, be loving, and stick to what you say. Bringing your daughter to understand that she is created in God’s image, and that God is great, will help as she grows and matures. Other people’s opinions will not matter nearly as much to her, especially when mean girls at school tell her they don’t like her hair, her shoes, her clothes, her nose, her eyes, or whatever. Knowing that she has been created in the image of God will free her from trying to make others like her for who they want her to be. Instead she will become her own person and know that God is all that matters. The most important thing a man can do for his family is to make sure they go to church together — every Sunday. Yes, even if you are on vacation. Yes, even if it’s raining. Yes, even if you really want to watch a football game on TV. No matter what else is going on, demand that your family go to church together. This sets up a duty-based philosophy for your family and lets them know that spending time with God, their Father in Heaven, is important and takes precedence over all else. I constantly see fathers fail to lead their families by example. I am one of the youth group leaders at my parish. There are girls I mentor whose fathers I have never seen at church. These girls constantly tell me how they struggle in their relationships with their fathers. I encourage them not to give up on their fathers and to keep reaching out. But that can work only when their fathers are there to reach back to them. Daughters should not have to be the only ones reaching; a man should reach out to his daughter instead of waiting for her to reach out to him. He should put aside his pride and focus on being the type of leader God calls all men to be in their families. Eventually, fathers who are absent to their daughters will realize that they missed out on a great opportunity to mentor and be an example of the way a man should act. But by then it can be difficult to reverse the damage that has been done. It is not impossible, because nothing is impossible with God, but it can be difficult. If you feel that damage has been done to your relationship with your daughter, take a step to fix the problem. Being manly means constantly putting your insecurities aside and humbling yourself to be there for your daughter, no matter what happens. Being manly means that you will never stop loving your daughter, no matter what she does or fails to do. The result of fulfilling our obligations to God results in our being fulfilled at the same time. God makes sure we are rewarded spiritually for making time for Him. He knows us and wants to see us and hear from us regularly. He also wants to see us raising our families to respect and worship Him, without fail. Raise your daughter to keep God first in all things, and everything else in this book and in her life will fall right into place. We are designed in God’s image, and this should remind us that we are made for greatness. God gives us the perfect example of how we are supposed to lead our families. He is the Good Shepherd who guides with a loving hand, not with an iron fist. He demands respect but allows us free will. He gives us what we need, not necessarily what we think we need. God knows everything about us, more than we will ever understand ourselves. Are you leading your family with the same care and authority? Teach your daughter that spending time with God comes before everything else. Go to church every Sunday with your family, and sit next to your wife. After church, enjoy your family time together, even if you don’t do anything special. Talk with your family about the readings you heard in church. Lead your family as the Good Shepherd leads us — with love, understanding, and a guiding hand. Lead by example, and not by words alone. Your challenge is to take your entire family to church this Sunday. No excuses! Spend time worshipping with your family, and lead them to God. Enforce the “no cell phones” rule for everyone in church. Keep focused on God, and insist that your family do the same. After church, have a meal together, and discuss the readings you just heard. Then spend the rest of the day with your family, enjoying their company. Do not work in any way — no e-mails, texts, phone calls, and so forth. This may seem simple to some of you and impossible to others. If you start creating new habits for your family, they will follow your lead. Begin your path to being manly, and lead your family to God. Manly men take action — do this challenge now! Editor’s note: This article is adapted from a chapter in The Manly Art of Raising a Daughter, which is available from Sophia Institute Press. Alan Migliorato has been married since 1993 and has three daughters. He has owned a sign and advertising company based in the Orlando area for the past 20 years. He has a certification in Youth Ministry from the University of Dayton and is the founder of Adventure Catholic Leadership Formation Training. Alan achieved the rank of Eagle Scout, and is a veteran of the U.S. Army.